The Norwegian Peacebuilding Resource Center has published the full report we originally wrote in early June just before the historic signing of a ceasefire between the Colombian government and the FARC. The take away of the report is that Venezuela has significantly contributed to the peace negotiations and has good reasons to continue to do so. 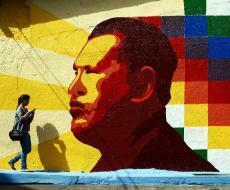 Nevertheless, a worsening crisis of governance in Venezuela could complicate attempts to consolidate peace.